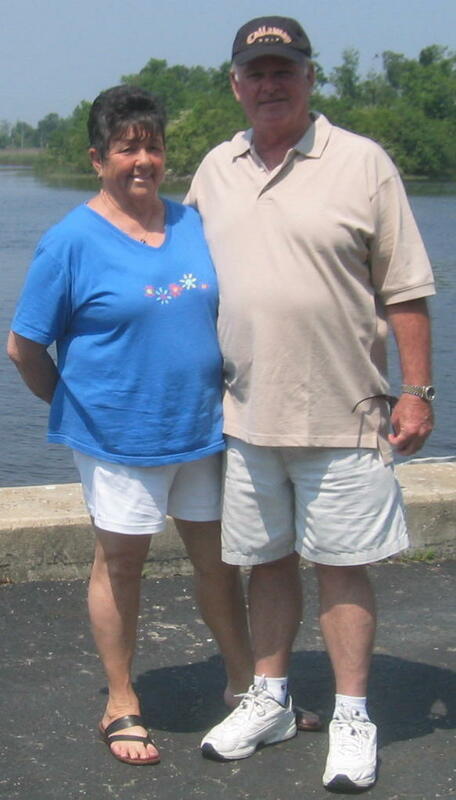 Last week, Mom and Dad came out to visit us in North Carolina. We had a great time showing them around. Fortunately, we enjoyed wonderful weather for the entire week. On Mother's Day, we took Mom out to lunch at The Isles Restaurant in Ocean Isle Beach. That evening, we had a little cocktail reception at our house so that our neighbors could meet the parents. The next day, we took a ferry boat ride to Fort Fisher and had lunch at Hula Grille on Carolina Beach. The highlight of Tuesday was a trip to Brookgreen Gardens with a picnic lunch. On the way home, we stopped for drinks at Jimmy Buffet's Margaritaville Cafe in Myrtle Beach. Then we grabbed dinner at our favorite Japanese steak house, Nakato. On Wednesday, Dad and I played golf with a couple of our neighbors. Dad ended up beating the field by a single stroke. That evening, we enjoyed some seafood at The Twin Lakes Restaurant, located next to the Sunset Beach swing bridge, which crosses the Intercoastal Waterway. Thursday was Lisa's birthday so we went to one of her favorite restaurants in Wilmington, The Pilot House on the Cape Fear river. We also took a trolley ride around the historic downtown, and later explored the Greenfield Lake area. Friday was our last full day together. We went to our Ocean Club for lunch, with yet another spectacular view of the Atlantic Ocean. After lunch, we stopped by the Broadway at the Beach mall to see the Budweiser Clydesdales on their Here's to the Heroes tour. That evening, we celebrated at one of my favorite restaurants, The Parson's Table in Little River. It's a converted church building. The owner is an old Irishman who likes to sing traditional Irish songs during dinner. A good time was had by all. On Saturday morning, we drove up to Raleigh, and Mom and Dad got on their plane to head home to San Jose. Lisa finished teaching her Landscape Design II class (HOR 213) at Brunswick Community College. My parents are visiting so she made the last class a short one.